Have you guys been to Lincoln lately? The Haymarket area – or rather just west of it near the new Pinnacle Arena – has changed so much! Lots of new businesses have cropped up, mostly to cater to the 21-and-older arena crowd before games and concerts. For families, though, you’ll find things to do, too. In the winter, there is an outdoor ice skating rink. I haven’t checked out most of the restaurants there; so I asked a Lincoln native, Gretchen over at Odyssey through Nebraska, for recommendations. She suggested Buffalo Wings and Rings (which, I noticed was near a doughnut shop. Just sayin’.). The kids were begging for pizza, though. Which they do about 240 times a day. So we tried Mellow Mushroom. It had been on my must-visit list anyway. Funky stuff to look at when you go into Mellow Mushroom. Lunchtime on a Saturday meant a wait. While waiting we checked out the funky, psychedelic décor. Mr. 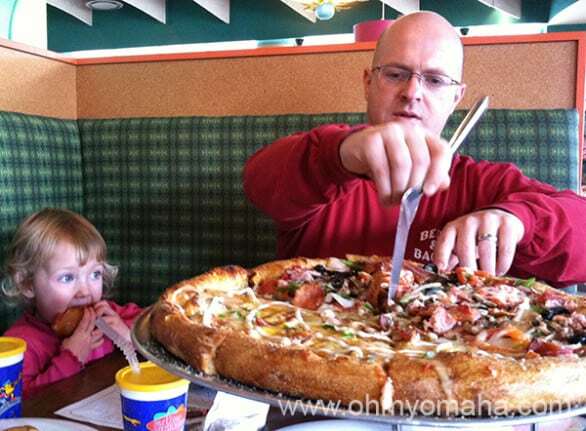 Wonderful and our nephew, Jake, ordered a half-and-half pizza, one part Red Skin Potato Pie, the other a Mighty Meaty. Mooch is eying the ‘za. I ordered a small Kosmic Karma pizza, that was a cross of a margarita pizza with some pesto. The food was delicious, though a little more expensive than Nebraskans are used to paying for some pie. I’d still recommend it, though. My lunch view at Mellow Mushroom. What else is there to do in the Lincoln Haymarket with kids? I recommend heading over to the Creamery building (it’s not too far to walk, but it’s forgivable if you want to drive). There’s a bookstore in the building worth seeking out. 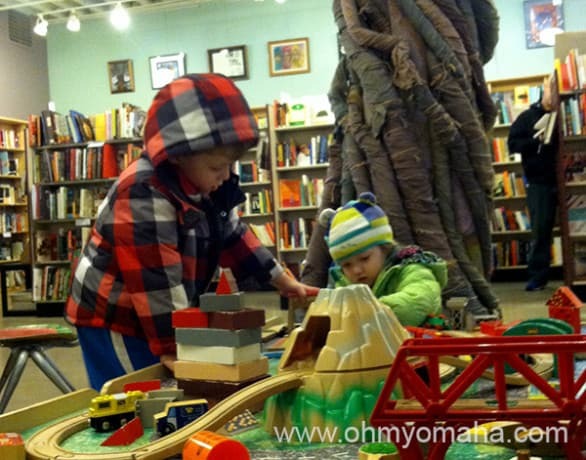 I’d heard about Indigo Bridge Books on Odyssey through Nebraska first, and I knew my kids would love the train table and musical instruments. Part of the children’s department at Indigo Bridge Book. True to form, they ran to the table. Like moths to a light, these two and their trains. They were distracted long enough for Mr. Wonderful and me to wonder through the store. If you like the vibe and quirky selection found in independent bookstores, you’ll enjoy this place. There’s also a requisite coffee shop inside. The other place we visited in the building is Ivanna Cone, a cute little family-owned ice cream shop across from Indigo. 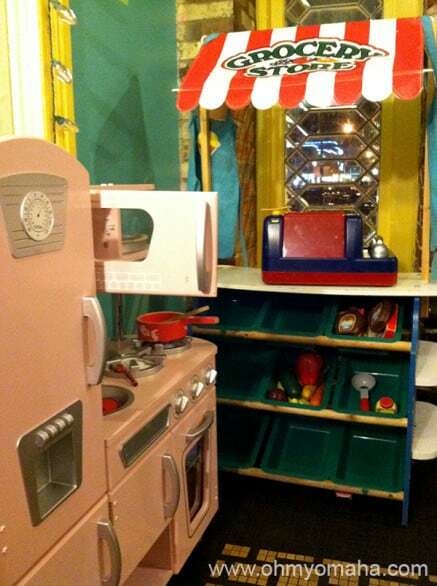 They have a play area for kids, which is a bonus. The tricky thing is getting the sticky ice cream off your munchkins before they run to this corner at Ivanna Cone. And the guys working there were helpful – in a bathroom emergency, one recommended we use the upstairs bathrooms, which are bigger and nicer than the first floor one. Good tip. The Creamery Building has a pottery painting place, some retail spots upstairs, a theater and a few other random businesses. Check back tomorrow to read about my family’s first trip to Morrill Hall! 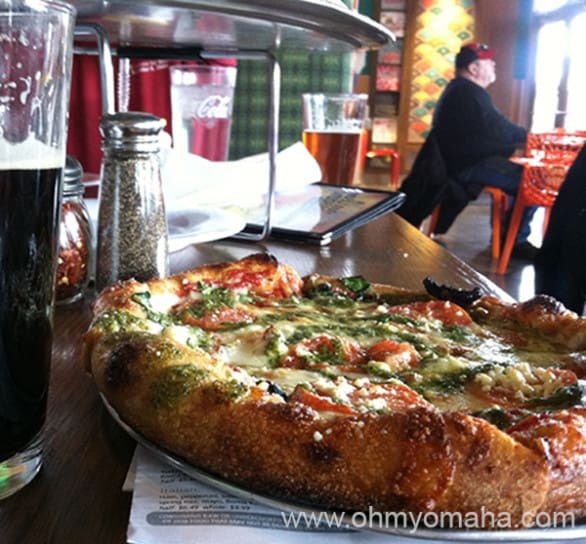 Your turn: What’s your favorite restaurant or place to shop in the Haymarket? Ha! Well, you know, if you find yourself on a cross-country trip on Interstate 80, it would make a good pit stop. 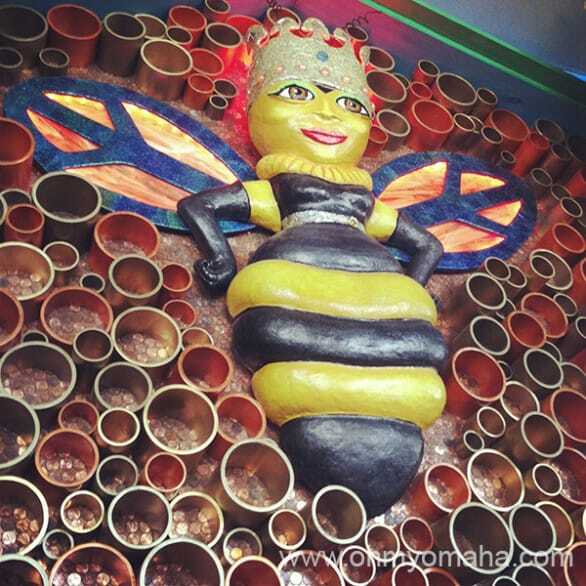 I love fun quirky places like Mellow Mushroom, although we don’t have any here any more. We had this one great little restaurant that was decorated to the t’s in vintage quirkiness but the owner passed away and they tore it down. That bookstore and ice cream shop look so amazing. Glad y’all had fun! Our next trip, we’re excited to check out the Lincoln children’s museum.